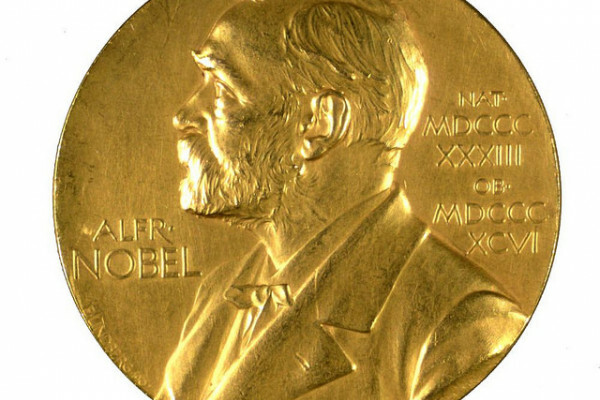 What won Nobel Prizes in 2016? In the disciplines of medicine or physiology, Tokyo Institute of Technology scientist Yoshinori Ohsumi was the winner for the insights he created into the processes that repair and recycle worn or defective structures within our cells. Dubbed "autophagy", which is Greek for self-eating, Ohsumi's insight was to mutate genes at random in yeast cells and then pick out those cells in which the process of recycling was going wrong. The defective genes must, he reasoned, be involved in the autophagy process. This led directly to the discovery of the genetic machinery that orchestrates a sequence of systems that, owing to their ability to recycle materials, are an essential response to starvation and the removal of cellular waste. Scientists are now realising that autophagy is implicated in a host of degenerative conditions like Parkinson's Disease, and also cancer, and efforts are being directed towards developing drugs capable of manipulating the process. Meanwhile, three British born scientists were the recipients of the Nobel Prize for Physics in recognition of their work on topological materials. Or, as UK broadsheet The Daily Telegraph put it, "work so baffling it had to be described using bagels." Topology is best thought of as the properties that remain intact even when an object is deformed and change in a stepwise fashion. The relevance of the bagel, which was joined by a cinnamon bun and a pretzel in the prize announcement, was the number of holes in each of the different foodstuffs, because holes are a topological invariant. "Try to imagine half a hole," the audience were instructed by Thors Hans Hansson, a member of the Nobel Committee. "You cannot have half a hole!" Put simply, the mathematical and experimental insights of David Thouless, Duncan Haldane and Michael Kosterlitz, who all trained initially at Cambridge University but since moved to work in the US, have opened new vistas in our understanding of the behaviours of materials under extreme conditions, including at temperatures close to absolute zero and geometries that are essentially so thin they are two dimensional. This work has since led to the generation of superconductors and even bizarre new materials including "topological insulators" that will conduct only on their surfaces but not through their interiors. Also recognising the realms of the very small, the Nobel Prize for Chemistry was awarded to Frenchman Jean-Pierre Sauvage, Fraser Stoddart, who hails from Scotland, and Dutchman Bernard Feringa. This trio have built atomic-scale machines that even include a "4-wheel-drive molecule". Sauvage produced the world's first molecular chain by interlinking two rings of atoms while Stoddart created an axle onto which he threaded a ring-shaped molecule; applying heat made the ring leap back and forth between the two ends of the axle. He was able to use the structure, which was known as rotaxane, to build a molecular abacus and even a lifting platform composed of three linked sets of rings. The molecules could bend a gold strip like a working muscle. Feringa, meanwhile, was the architect of the molecular car and also produced a UV light-powered rotor blade, a recent iteration of which spins at a dizzying 12 million times per second.